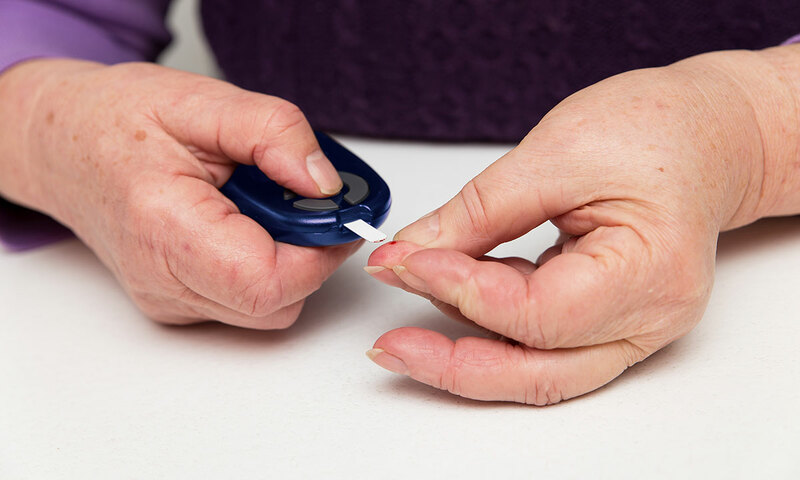 THE decision by the National Diabetes Services Scheme (NDSS) to remove access to subsidised test strips may trigger anxiety and worry, so experts are urging people with type 2 diabetes to consult a health professional about their management plan. As of this month, people with type 2 diabetes (T2D) not using insulin will receive an initial 6-month supply of subsidised blood glucose test strips under the NDSS. After 6 months, people will only be eligible for further access to subsidised test strips if their doctor or authorised health professional considers it clinically necessary. This change follows the independent advice of the Pharmaceutical Benefits Advisory Committee, based on a review which found there is limited evidence that self-monitoring of blood glucose improves blood glucose control, quality of life or long term complications in people with T2D who are not using insulin. Giuliana Murfet, a diabetes nurse practitioner at North West Regional Hospital in Tasmania, told MJA InSight that in light of these changes, “some people will feel unsettled and anxious”. To the general public and policy makers, these changes might also send a message that T2D was not as important as type 1 diabetes, she said. Ms Murfet said it was therefore essential to highlight how type 1 and T2D were each “chronic diseases in their own entity”. Regarding whether the move by the NDSS was warranted, Ms Murfet said that the right call was made based on the available research. CEO of the Australian Diabetes Educators Association (ADEA) Dr Joanne Ramadge agreed, telling MJA InSight that there “is international evidence that supports this restriction and it is important to manage public health funding so people who need health care receive it”. However, president of the Australian Diabetes Society, Associate Professor Sof Andrikopoulos, said “the clinical research that we have suggests that patients who test regularly have better blood glucose management than those who don’t”. He felt the decision by the NDSS “goes against the principle of self-management”. “People who are self-testing are the more proactive and concerned ones, and we want to encourage people to be interested in self-management,” Professor Andrikopoulos told MJA InSight. Dr Ramadge said that while she was sure there would be people who stop testing as a result of these changes, it was important for them to make this decision in consultation with their credentialled diabetes educator (CDE) or GP, so they understand their diabetes management and how this should be monitored. “Self-monitoring of blood glucose levels is not just one intervention; it is one step in a complex series of steps that need to be considered. Ms Murfet said that it was also vital to remember that people with T2D would still have the opportunity to receive special compensation for test strips if it’s deemed appropriate. Tracy Aylen, president of ADEA and senior clinical nurse advisor at the Royal District Nursing Service in Melbourne, said that circumstances requiring ongoing monitoring could include unstable blood glucose levels, hypoglycaemia or other health problems affecting glycaemic levels. “People with diabetes will need to be aware of the new process and plan in advance if they feel that ongoing blood glucose monitoring is needed, so they can book an appointment with their doctor or CDE for review before their strip supply is exhausted. “Individual assessment and a consistent approach to assessment of need across the diabetes care team will be an important consideration,” Ms Aylen said. Ms Murfet said that on the flipside of the equation, authorised health care professionals needed to ensure the decision-making process about test strip access was conducted in an appropriate manner, and factor in whether a patient’s blood glucose readings were stable or “out of whack”. “It’s easy to keep on wanting what you’re used to having. But we have to ask, does the patient clinically need [to self-test], or am I choosing this because it makes me more comfortable? “The justification needs to be sound,” Ms Murfet said. As stated, it is the quality, not quantity, of testing that is important. We need to be mindful that we are not contributing to the ever increasing costs of our health care budget by prescribing interventions that really do not influence outcomes in the majority of our diabetic patients. How do we know if our ” blood sugars are unstable ” or “out of whack” and so need monitoring if we can’t access testing strips in the first place?? I am a type-2 diabetic but am insulin-dependent. I monitor my glucose level 3 time daily viz., before breakfast, before dinner and and after dinner. I eat supper if my glucose level is likely to go hypo at night. Will the test strips still be available to insulin dependent diabetics? I would much appreciate some one’s response. As a Type 2 diabetic who daily checked blood glucose readings and noted correlations with diet, exercise, stress, etc, I am appalled at the arrogance of the medical community in recommending the cessation of subsidised testing strips. I agree totally with the views of Associate Professor Sof Andrikopoulos in this article.